Considered as one of the best refractive surgeon in Kolkata, Dr. Sagar Bhargava has set very high standards for himself. From his early days in Sankara Nethralaya, Chennai and now as a senior consultant in B.B Eye Foundation, Kolkata he has strived to do more than 10000 surgeries. Implantable collamer lens or ICL, called by its manufacturer Visian ICL, is a soft, flexible gel-lens used in refractive surgeries for the permanent correction of myopia (nearsightedness), made of a collagen copolymer material Collamer®, named by combining “collagen” and “polymer”. Collamer does not cause a reaction inside the eye and it contains an ultraviolet blocker that provides protection to the eye. The ICL procedure is a popular alternative to LASIK and PRK since it requires no removal of the corneal tissue . 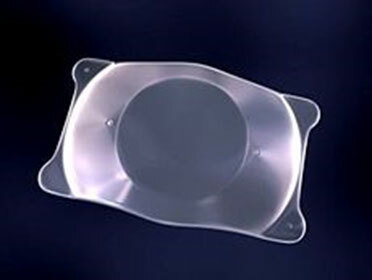 More than 400,000 lens have been implanted in the world till date. ICL is of two types, ICL spherical and ICL toric. Spherical ICL lenss corrects only spherical power of glasses. Toric ICL lens corrects cylinder along with spherical powet of glasses.